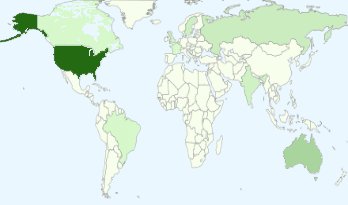 I love looking at the blog stats. The data collection and analysis fascinate me! I noticed that a few of my photos have made it to pinterest and I said to my husband that "I'm getting a lot of traffic from pinterest to my blog". So I asked whether he understood what I just said. He replied "Not a word! I'm going to bed!" Too funny! Love stats too.... Have a great week but what is this about raining inside the house? I've explained what Pinterest is about three times to my dh but even in seeing it, it makes no sense to him. Blogging he gets. Well I get it and yahooing for you!